Highly detailed 3d models of trees with all textures, shaders and materials. These models have 3d-scanned trunk which make it more photo-realistic than ever and perfect for closed-up views. They are ready to use, just put they into your scene. 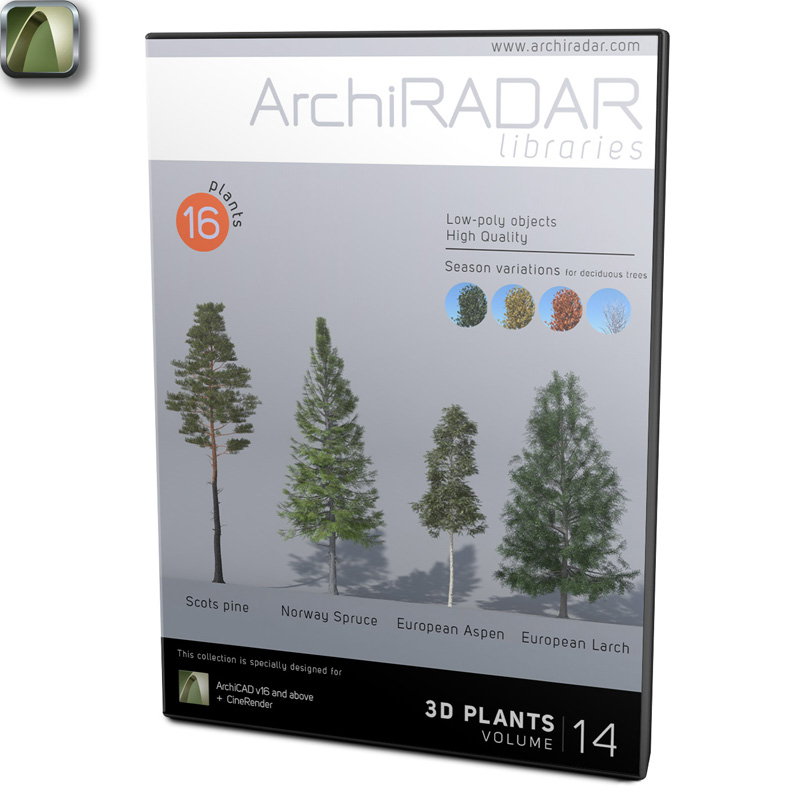 16 3D trees, in GSM format, compatibles with ArchiCAD 16 or higher. The models (not evergreen) are in 4 different season variations: spring, autumn, winter and bare tree (skeletal tree). Therefore, the package includes a total of 36 models. In addiction to that, for each species there is a seventh object called "Random Plant": it's a useful tool that, with a simple click, adds to the scene a random plant in order to avoid repetitions. The 3D trees have high quality of detail, but at the same time they are very light. To give you an example: 100 models placed in a scene requiring 7/10 minutes for rendering (depending on your computer).